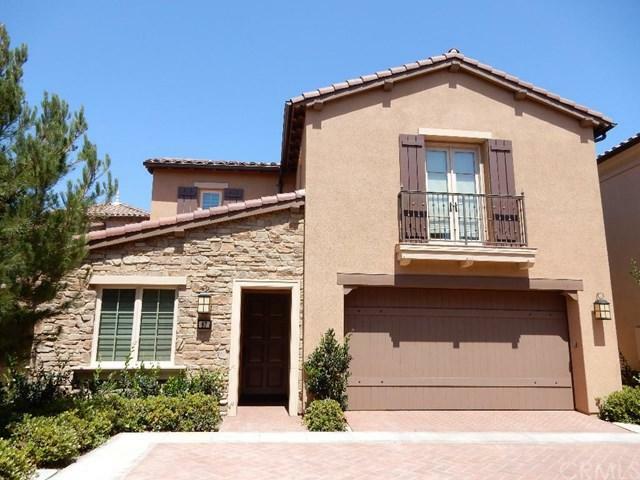 Built in 2013 and situated in the guard gated community of Laguna Altura, this gorgeous 4 Bedroom (1 downstairs & 3 upstairs) 3.5 bath home features a master bedroom with 1 King bed and 3 bedrooms with 3 Queen beds and attached 2 car garage. All furniture, appliances and utensils are 2 year new. The spacious kitchen includes a refrigerator, coffee maker, pots & pans, microwave oven, stove, oven, dishwasher and pantry. The kitchen opens up into a beautiful family room with a 70" 4K flat-screen TV. There is also a 2 year new washer and dryer in unit. The community has Olympic size pool, spa and children+GGs wading pool, club house, 3 parks, BBQ and picnic tables, basketball court, tot lots, walking and biking paths. Located just Southeast corner of 405, 133 and 5 Freeways, this home is minutes away from Laguna Beach, Orange County Airport, South Coast Plaza, Irvine Spectrum and many golf courses. Exciting destinations to Disneyland, Knott's Berry Farm and San Diego Zoo are not far away. Sold by John Lin of Linco Realty.